For many of us who work in mobile money, the benefits that come from financial inclusion are clearly understood, and to a large extent provide intrinsic motivation for us to work in this industry. It serves as a timely reminder when we come across people who either don’t understand the benefits of financial inclusion, or perceive that reaching those who are unbanked is too hard, unprofitable or unnecessary. I had an interesting experience some weeks ago when I met an experienced banker in an emerging market that has a sizeable unbanked population, but has not really seen huge steps in financial inclusion to date. We discussed the size of the market, the substitutes for formal financial services, and the solutions that had been tried to date without much success. The market is significant, with approximately 35-40 million people who have not been banked, and GDP per capita of approximately US$3,300. 70% of the population is rural, with urban migration of about 3% per annum. Many of those migrating are moving to manufacturing jobs in the cities, so domestic remittances are a large component of rural income. Substitutes for formal financial services proliferate, with remittances being sent by bus regularly, and in some cases through the post office. Solutions for the unbanked have primarily been government driven, and have relied on payroll cards for workers. Not surprisingly, the majority of these payments are converted to cash with remittances being sent through the informal market. In my experience in mobile money, these indicators would point to a market that would be highly suitable for mobile money, and I put that view to the banker. His position was somewhat unexpected. To paraphrase, anyone who wants a bank account in this market has one (i.e. they earn enough money to qualify), and the people who don’t, have no need for an account nor do they want one. This observation surprised me, and shook my perception that most people in the financial services industry see financial inclusion as a ‘good thing’ or indeed possible. In terms of our communication in the industry, maybe it is a good time to be clear on why financial inclusion matters, and to articulate this whenever we get the chance, to help people like my banker friend. I take the view that there are three reasons why financial inclusion matters – firstly, because I believe it can profitable, secondly, because the poor need bank accounts, and thirdly, because the poor want bank accounts, in the right context. Having worked in a bank for a number of years, I know very well the pressure that comes on quarterly results. For pro-poor projects to be a success they need to demonstrate a ROI and positive NPV, otherwise they are perceived as corporate responsibility projects, with far less tangible benefits to the business. The Mzansi accounts in South Africa are an interesting case study. Originally a low cost bank account for the mass market, the accounts are evolving into more sophisticated offerings that still cater for the mass market, but allow for cross-sell of more profitable products as customers need change over time. One of the early experiences I had in financial inclusion was to attend a conference of micro-finance experts in Cambodia. The overriding message I took from that conference was that in the absence of accessible bank accounts (at that stage micro-finance institutions in Cambodia couldn’t take deposits, and WING was just a glint in a few eyes), rural Cambodians would often invest life savings into a pig or cow. The illogic of that grabbed me. What if the pig died? What if a family member fell ill and there was a need to access part, but not all of the value of the pig? Surely if someone had enough money to buy a pig, they had enough money to place in a bank account? I had a similar experience with our agents in Cambodia. In many markets in the world cash liquidity has been a problem for agents. Not in Cambodia – most of our agents had literally thousands of dollars in their small shops, stored carefully in safes and strong boxes. Amazingly, few of them had bank accounts, but they did have perceived and real security risks, many of which could have been mitigated by access to a bank account. There are significant barriers to the poor in accessing financial services, often specific to the market. Bank failures may have eroded trust in the financial system or geographic reach may make it difficult to reach traditional bank branches or channels such as ATM or POS. Regulators who allow third party agents such as mobile phone shops or convenience stores to facilitate deposits and withdrawals greatly overcome the issues of access, and even potentially trust, as the customer is generally dealing with known parties in the community. But even if there is access, do the poor want a bank account. They do if it is designed with their needs in mind, and perhaps includes features such as life or funeral insurance, or is designed for a specific purpose such as education. 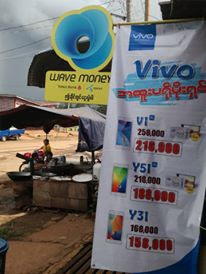 Research that was done at WING Cambodia soon after launch indicated that 25% of customers preferred to store their money in a WING account rather than informal methods that they had previously used. A learning we had early in the development of WING was that there was always a need to accompany account distribution with financial literacy to overcome technology barriers when using the service. This has been a very quick overview on why financial inclusion matters, but I do think the debate and discussion is important. As with any product or service design, it is important to start with the needs and wants of the end user first, and it would be fair to say that this hasn’t always been the rule in mobile money in emerging markets. 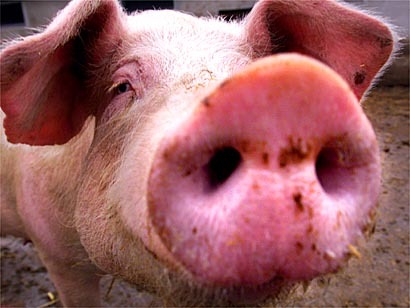 As banks start taking a far greater interest in the provision of accounts to those previously deemed unbankable, carefully considering why your account is better than a pig will take some consideration. Many have been talking for long on Financial Inclusion of general mass without encumbering the current banking systems. Mostly it is all big fuss about something that could be resolved much simpler way. The need of the day to put these in action by to quickly have system in place that can provide all sorts of micro/macro finance support to all without the need to go anywhere near a bank or other financial institutions. For over ten years now, I have been propagating the idea of using phones, mobile as well as fixed, for almost all types of money management anytime from anywhere without the need of any paperwork or involvement of bank. The term ‘un-banked’ is controversial as the system mostly engages on principle of banking but works in a transparent way as far the users are concerned. Nonetheless, for the Service providers it complies with the regulatory norms of banking industry such as safety, security and privacy of the user and safeguards for the service provider, the differences are in the parameters and method of service delivery. If the Government understands this properly without confusing this service with what is presently called as ‘Mobile banking’, the service could be rolled out in no time as the technology is readily available and readily marketable. The delay is only in spreading the reach to places where currently telecom networks not yet available. It is also necessary for the authorities to discern that the success of the system depends on the following factors. (1) Regulating the service by the authorities’ right from the beginning is necessary and to allow only limited number of service providers as disparate systems at various points of service cause confusion to the users and counter productive. (2) Making the system available, accessible and affordable to general mass. The system shall be workable using any base model low cost phones that can work in base end technology systems and network and the service cost to the end user shall nil or negligible. (3) While most of the transactions are e-payments without involving any hard cash transactions, there shall be simple and always available methods to meet the hard cash needs of the users. (4) There shall be sufficient safeguards for the micro/macro finance service provider to protect their funds being loaned their customers. (5) There shall means ways for accruing benefit for all stake holders involved in the systems, networks and service by way of appropriate revenue and profit sharing. All the above aspects are taken care of in my proposal of Money through Mobile (MTM) as explained in the article in the blog. Show Me The E-Money: Keeping it under control.